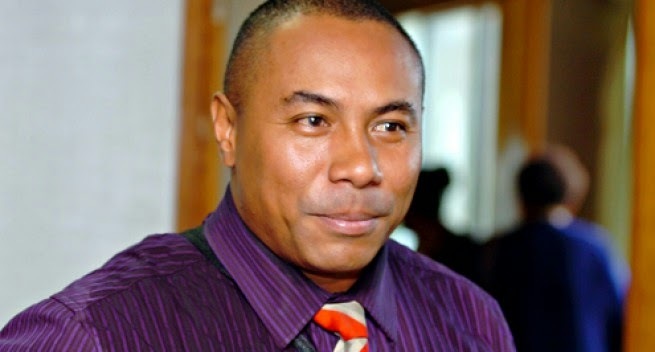 Mining Minister and Namatanai MP Byron Chan says the alluvial sector has often been regarded as the poor cousin to hard rock mining and has perhaps suffered from a lack of direction. "But the key message is that the alluvial resource is extensive, under-explored and nationwide," Mr Chan said. He said this when opening the inaugural PNG alluvial mining convention and tradeshow in Lae yesterday. Mr Chan said considering the current alluvial export trends, export revenue in 2014 will come close to K400 million and production may exceed 110,000 ounces of gold. He said the figures would be new records for the sector, adding that in the first eight months of 2014, the figures indicate a 20% increase in export revenue and a similar increase in production, compared against the highest previous year recorded, being 2011. The MP added that alluvial mining exports may double within the next five years and perhaps tripled within the term of the strategic plan. "This would represent what is essentially a landowner-led aspect of the PNG mining industry, potentially worth more than K1 billion per annum," he said. In June Mr Chan declared the newly implemented MRA mineral tenement management system operational. He said this has been a highly successful project to introduce an electronic management system for mining tenements. Funded by the World Bank and utilising a world renowned developer of the product, the project was delivered on time and on budget over a period of 12 months. The system, nicknamed flexi, allows all tenements, including alluvial related tenements, to be shown on the electronic cadastral map and is accessible online. Mr Chan said once supported by revisions to the Mining Act currently underway, flexi will allow online registration of applications for tenements achieving a world first in this leading edge system. "Flexi enables anyone to check the availability of an area for exploration, or in the alluvial context, an opportunity to partner for investment from your laptop or ipad." Flexi also allows searches in MRA library files for geological information, lodge documentation and make electronic payments for fees and rent and to follow the progress of an application through the regulatory administration system. "Flexi is the future for tenement management," said Mr Chan. Using data generated by flexi, there are currently 183 alluvial mining leases, either granted, under renewal or new applications. There are 18 mining leases for alluvial purposes and 175 conversion tenements. Therefore alluvial tenements represent around 40% of total tenements in PNG. A further MRA initiative underway is the development of the MRA five year corporate plan 2015 – 2019, which will be complemented by a PNG mining strategic development plan 2015 - 2030. Mr Chan said the plans will coordinate with Vision 2050.